The plasterboard maker has agreed to discuss a takeover with suitor Knauf. The company had few options after proxy advisers joined top shareholder Warren Buffett in urging negotiations. The only victory USG can aim for now is to wring a few more dollars out of its German rival. 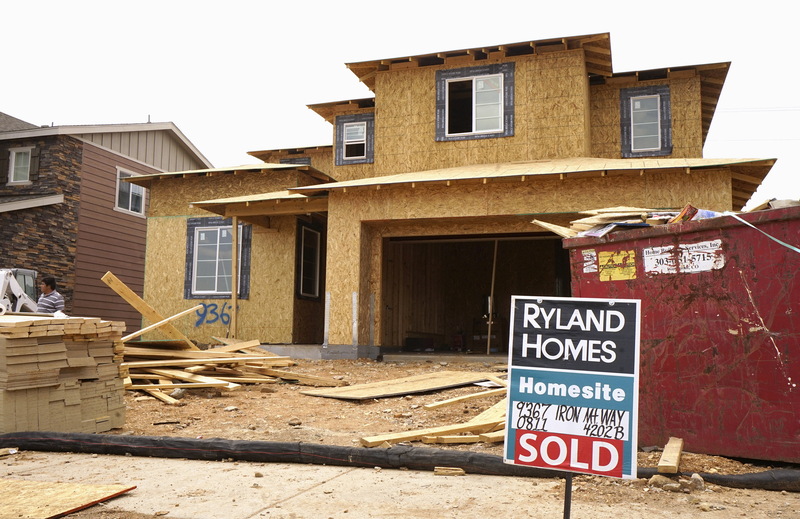 A house under construction has a sold sign out front in the Candelas development in the northwest Denver suburb of Arvada, Colorado August 18, 2015. USG on May 1 said its board had authorized management to start takeover talks with Knauf. The company last month rejected a $42-a-share offer from its German competitor, which owns a 10.5 percent stake. Knauf has urged shareholders to vote against reappointing four USG directors at the company’s annual meeting on May 9. Warren Buffett’s Berkshire Hathaway, which owns just over 31 percent of USG, said last month it would vote against the directors. It previously disclosed it had offered to sell Knauf an option to buy its stake for at least $42 a share if it can complete a deal at that price.